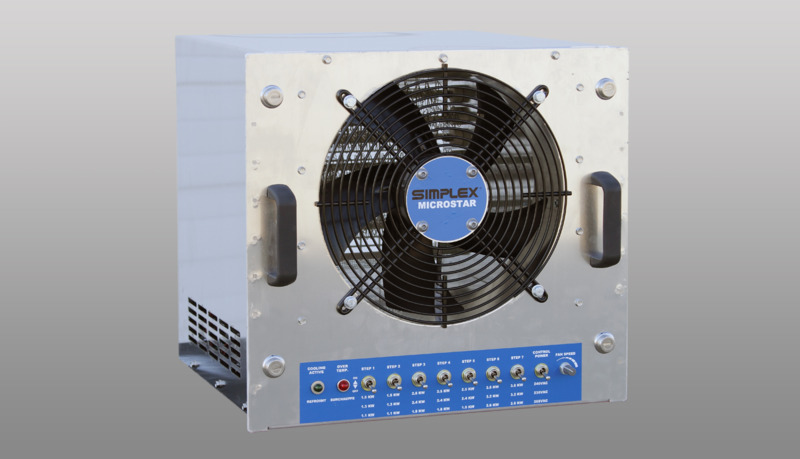 Simplex MicroStar Precision Air Heaters (Load Banks) enable comprehensive testing of data center hot aisle/cold aisle cooling systems. 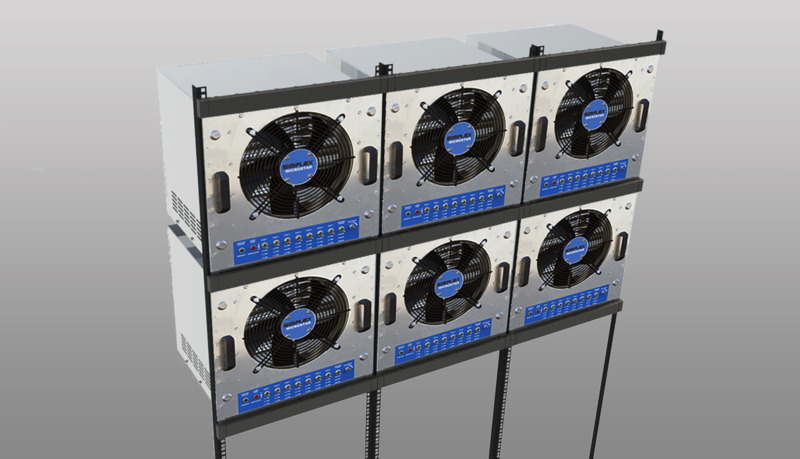 The MicroStar is a 19-inch rack mountable device (10U high) that can be easily installed into a wide range of standard server racks. Precision heat generation is possible via the integration of adjustable heat levels (load steps) and adjustable airflow (velocity and CFM). 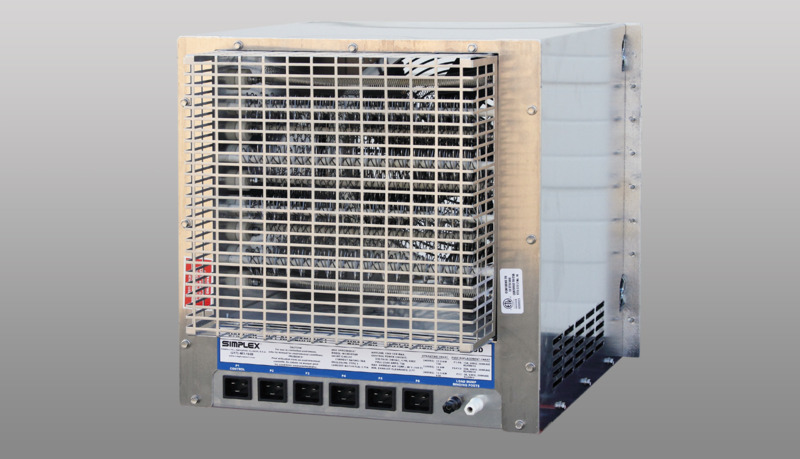 The MicroStar is rated up to 17.5kw at 240vAC, single-phase, and connects to the rack power distribution bus via standard C19 plugs. 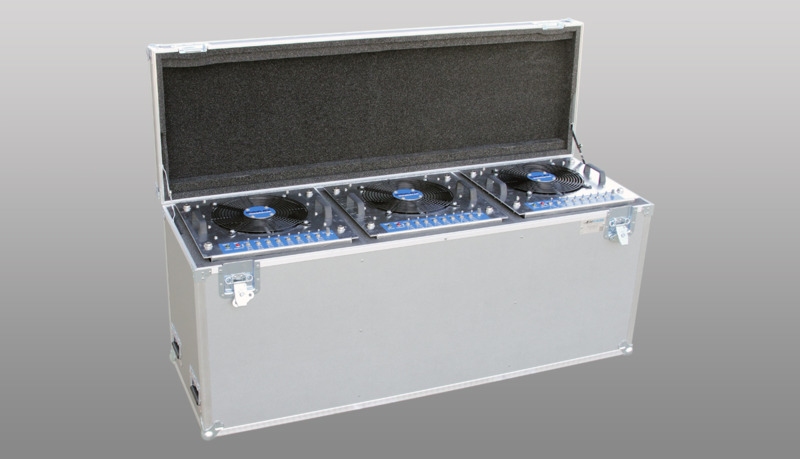 • Precision thermal control of heat load, temp rise and airflow via step control and fan speed control. • Can be installed in standard 19-inch server rack. • Exclusive quarter-turn, key lockable mounting tabs. • Light weight (45 pounds). • Automatic overload protection: fan reverts to higher speed above a preset power level. • Over temperature sensor with master disconnect and alarm. • Internal fuse protection of heat circuits. • Master control of all steps. • Remote master control input (24v). 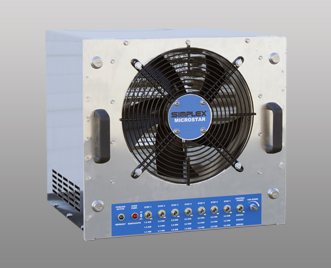 • All 24v control circuits via internal power supply. • Available for purchase or rental.